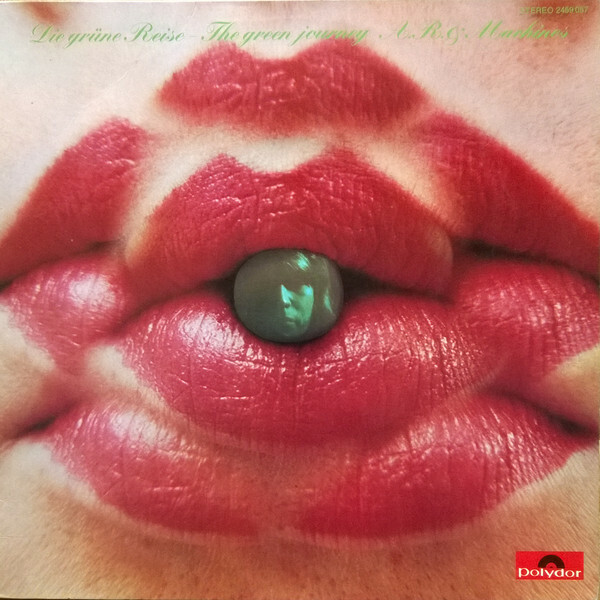 DEUTSCHE ELEKTRONISCHE MUSIK: EXPERIMENTAL GERMAN ROCK AND ELECTRONIC MUSIC 1971-83. Over four years have passed since Soul Jazz Records released the second instalment in their criticality acclaimed Deutsche Elektronische Musik compilation series. 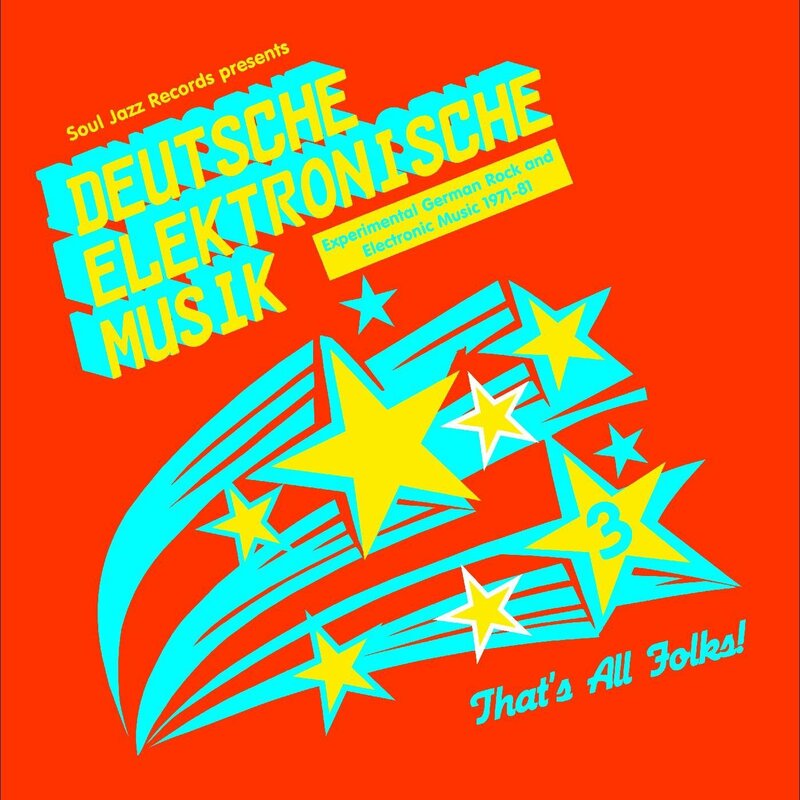 Deutsche Elektronische Musik 2 was released in February 2013 and was the eagerly awaited followup to Deutsche Elektronische Musik which was released in April 2010. Both volumes in the Deutsche Elektronische Musik compilation series looked back at what was the golden age of modern German music. The two instalments of Deutsche Elektronische Musik featured a mixture of Krautrock and tracks from the Berlin and Düsseldorf Schools of Electronic Music. This included some of the most important, innovative and influential German artists and bands from the seventies and early eighties. This included Amon Düül. Can, Faust, Harmonia, Neu!, Popul Vuh and Tangerine Dream. Their contributions were augmented by hidden gems from Between, Emak, Gila, Harald Grosskopf and Kollectiv. Together, they played their part in two compilations that are the perfect introduction to the golden age of modern German music. However, two has now become three. As November gives way to December, Soul Jazz Records have just released Deutsche Elektronische Musik: German Rock And Electronic Musik 1971-83, which is the long-awaited third instalment in this occasional compilation series. It features twenty-three tracks from familiar faces and old friends which are spread across a two CD set. 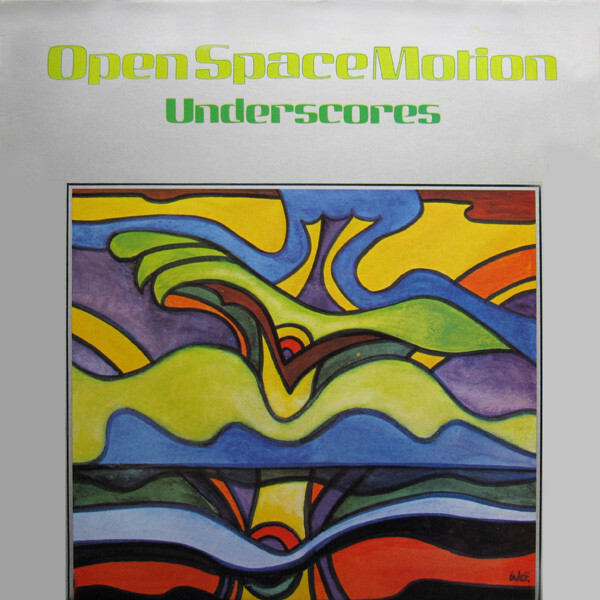 Opening disc one is Klaus Weiss’ Wide Open Space Motion the track that opens his 1981 album Open Space Motion (Underscores). It was released on the Munich based label Coloursound Library, which was created in 1979 by Gunter Greffenius. By the time Open Space Motion (Underscores) was released, the label who had a reputation for releasing innovative and ambitious music. This described Klaus Weiss’ first album for his new label. Especially Open Space Motion where a bass synth is at the heart of the futuristic cinematic arrangement, were Klaus Weiss marries eighties electronica with seventies Berlin School. In 1971, A.R. and Machines released their debut album Die Grüne Reise-The Green Journey on Polydor. It featured the psychedelic Krautrock of I’ll Be Your Singer, You’ll Be My Song, which was produced by Achim Reichel and Frank Dostal. It’s a tantalising taste of an oft-overlooked album that anyone interested in the golden age of modern German music will enjoy. The name Alexander Wiska means different things to different people. Some remember him for his electrified turkish Saz solos while others remember the Alex Oriental Experience. There’s also the triumvirate of albums he recorded as Alex between 1973 and 1984. This included their eponymous debut album Alex, which was released by Pan in 1973. Holger Czukay and Jaki Liebezeit of Can produced Alex which Derulé, combines elements of Turkish music with psychedelic and progressive rock. Derulé is the perfect introduction to a vastly underrated album which is becoming something of a rarity. During a long and successful career that has spanned five decades, Georg Deuter has been a prolific and groundbreaking musician. Especially during the period he was signed to the Kuckuck label. 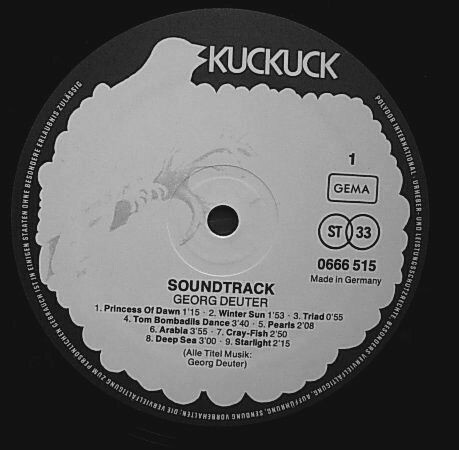 His third album for Kuckuck, was Soundtrack an album of library music which featured Pearls. It’s an example of the beautiful ambient music that Georg Deuter was producing during this period. 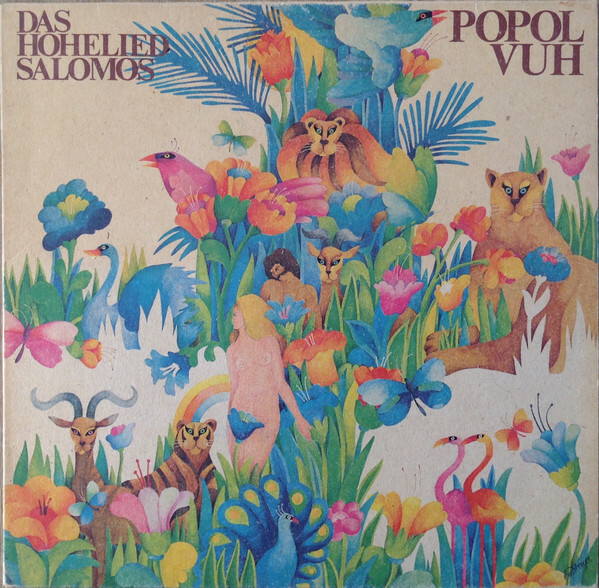 By 1975, Florian Fricke’s musical vehicle Popol Vuh had just signed to United Artists and their major label debut album was Das Hohelied Salomos. It was Popol Vuh’s seventh album, and featured Ja, Deine Liebe Ist Sußer Als Wein. It’s a fusion of Krautrock and progressive rock and showcase the considerable talents of a pioneering musician. 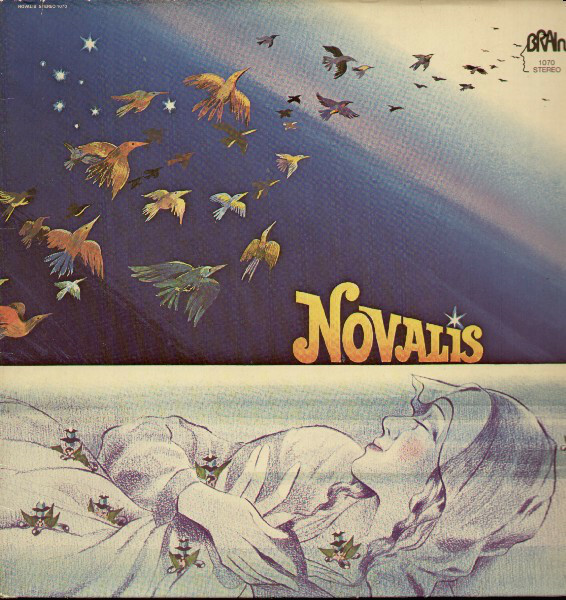 The progressive rock band Novalis was formed in Hamburg in late-1971, and in 1975 released their eponymous sophomore album on Brain. It featured Dronsz, a dark, futuristic and cinematic track that is one of the Novalis’ highlights. Fittingly, Neu! who are regarded as one of the most important, innovative and influential German bands of the seventies open disc two with Neuschnee. It’s a track from Neu! 2 which recorded in January 1973 at Windrose-Dumont-Time Studios, Hamburg by Conny Plank who co-produced the album with the two members of Neu! Later in 1973, Neu! 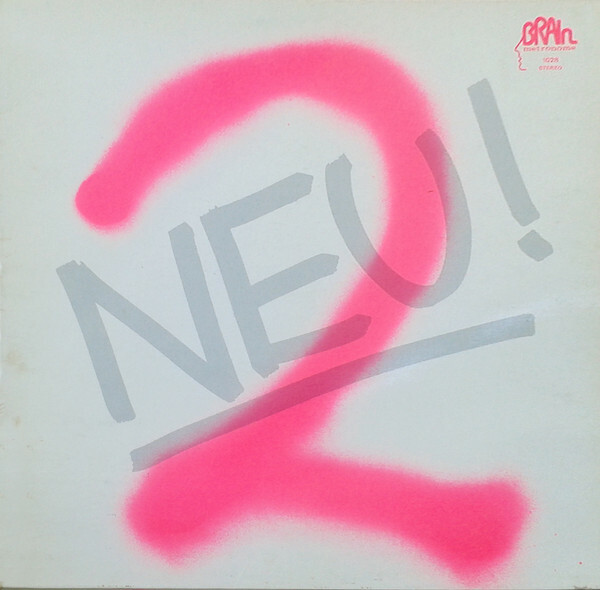 2 released on Brain, and one of the album’s highlights was Neuschnee which features Neu! at their most inventive and innovative. Constellation is another track form Klaus Weiss’ 1981 album Wide Open Space Motion (Underscores) which was released on the Munich based label Coloursound Library. Again, it’s a genre-melting track with Klaus Weiss drawing inspiration from Germany’s musical past to create new and innovative music which has stood the test of time. Legend is an overused word, but when it comes to Hans-Joachim Roedelius it’s a fitting description for the man who cofounded Kluster, Cluster, Harmonia and much later, Qluster, but still found time to enjoy a successful solo career. In 1981, Roedelius as he was billed released his Lustwandel album on Sky Records. The title-track which opened Lustwandel is an understated and beautiful piano lead track that is augmented by lush strings. The result is a track that combines elements of ambient and modern classical, and shows a very different side to the man who cofounded Kluster, Cluster and Harmonia during the golden age of modern German music. Hans-Joachim Roedelius and Dieter Moebius founded Cluster, after leaving Kluster and signed to Sky Records. 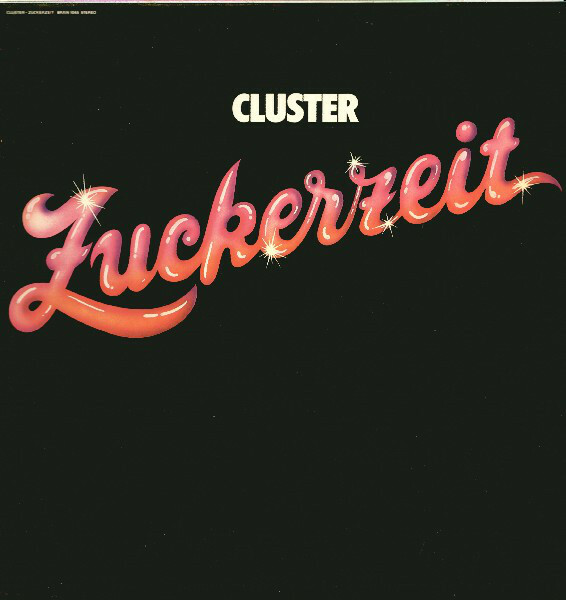 By 1974, Cluster had released their third album Zuckerzeit, where their music started to evolve. Michael Rother’s influence is apparent and he placed more emphasis on melody, rhythm and the Motorik beat. He also introduced structure and discipline to Cluster’s music on Zuckerzeit. All this is apparent on Hollywood one of Cluster’s finest moments on Zuckerzeit. Tragedy struck for Wolfgang Riechmann in August 1978, when he was stabbed to death by two drunken men. This meant that the man who was billed as Riechmann never lived to see his debut album Wunderbar which was released by Sky Records in 1978 become a genre classic. A year later, Wolfgang Riechmann and Streetmark’s eponymous debut album was released on Sky Records in 1979. It featured Passage, whose ethereal and otherworldly beauty is one of the album’s highlights. 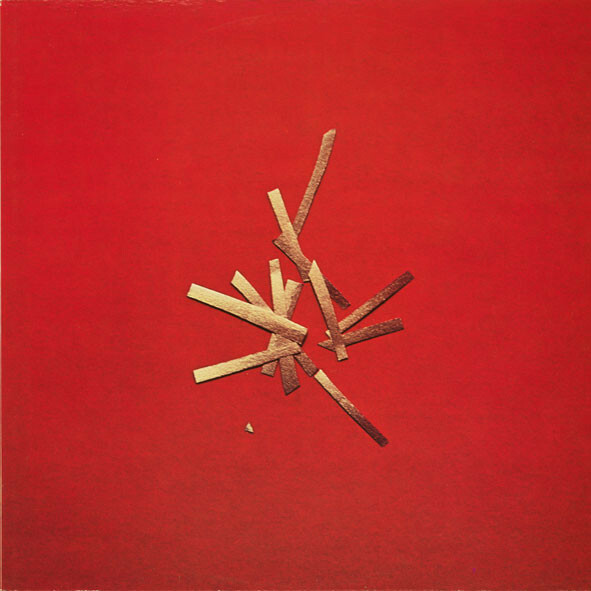 Closing Deutsche Elektronische Musik: Experimental German Rock And Electronic Music 1971-83 is the title-track to Michael Bundt’s 1979 album Neonb. It was released on Hansa International and was Michael Bundt’s sophomore album. It’s Neonb a near thirteen minute genre-melting epic, where Michael Bund fuses experimental music with Krautrock and synth pop that is Michael Bundt’s finest hour his sophomore album. Sadly, it’s another oft-overlooked album that didn’t find the audience it deserved. It’s been well over four years since the second instalment in Soul Jazz Records’ Deutsche Elektronische Musik compilation series. However, Deutsche Elektronische Musik: Experimental German Rock And Electronic Music 1971-83 which was released on the ‘1st of December 2017 has been well worth the wait. It’s another lovingly curated compilation that features familiar faces and new names from the golden age of German modern music. long and illustrious careers. The tracks that feature on Deutsche Elektronische Musik: Experimental German Rock And Electronic Music 1971-83 is just tantalising taste of the music that they’ve released during their long careers. Just like the two previous instalments in the series, Deutsche Elektronische Musik: Experimental German Rock And Electronic Music 1971-83 features talented, innovative and influential bands and musicians who were part of what was a musical revolution in Germany. In the late-sixties, a group of musicians set out to rewrite musical history in Germany and create new, exciting and innovative music for a new generation. They succeeded in doing so, and the proof of that is the music on Deutsche Elektronische Musik: Experimental German Rock And Electronic Music 1971-83. It includes Krautrock and tracks from the Berlin and Düsseldorf Schools of Electronic Music. There’s also elements of ambient, avant-garde, electronica, experimental, industrial, modern classical, progressive rock, psychedelia and rock. All these influences can be heard on Deutsche Elektronische Musik: Experimental German Rock And Electronic Music 1971-83, which is the latest instalment in this occasional series. Deutsche Elektronische Musik: Experimental German Rock And Electronic Music 1971-83 is the perfect introduction to the golden age of modern German music, especially when added to the two previous volumes. This could be the start of a lifelong love affair with Krautrock or the Berlin and Düsseldorf Schools of Electronic Music. However, Deutsche Elektronische Musik: Experimental German Rock And Electronic Music 1971-83 will also be of interest to anyone who is interested in the golden age of German modern music. Hopefully, Deutsche Elektronische Musik: Experimental German Rock And Electronic Music 1971-83 won’t be the last in this occasional series, and Soul Jazz Records will return with future instalments in the series. After all, Deutsche Elektronische Musik: Experimental German Rock And Electronic Music 1971-83 and the two previous critically acclaimed compilations are among the best compilations of music from that the golden age of German modern music, and feature some of the most important, innovative and influential German artists and bands from this era.